Smith.ai integrates with YouCanBook.me, so our receptionists can book appointments for your callers. Callers will see their appointment with you on their calendar, and you'll see their appointment on yours. Here's how to get set up! Retrieve your YouCanBook.me link from your dashboard or from your Settings page. If you're on your dashboard, you can copy the link that appears directly under your name. 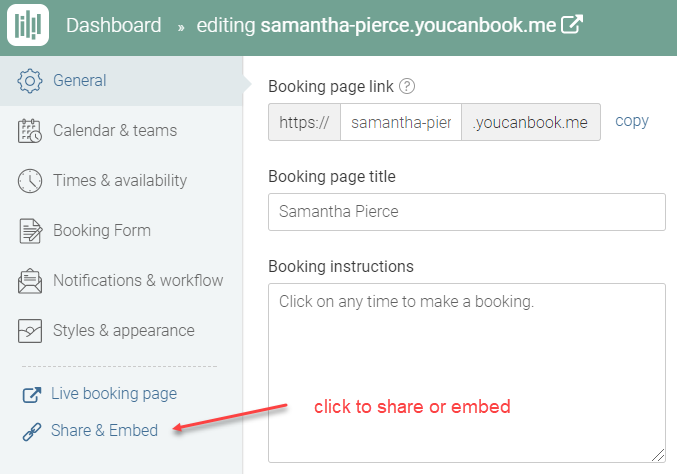 If you're in Settings, click "Share & Embed" to see all sharing options. 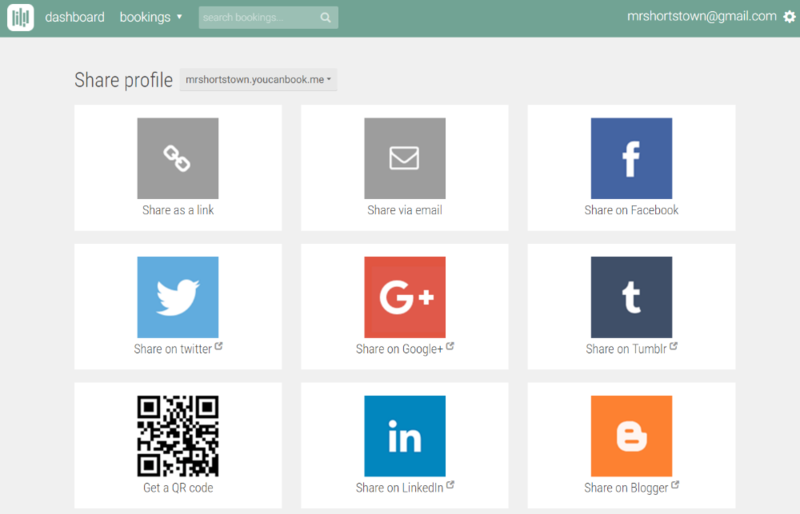 A page will appear with all your sharing options. Select the first one, "Share as a link" and copy the link. Send the link in an email it to support@smith.ai, with the subject line "Connect my YouCanBook.me account." Please provide any directions so our receptionists can correctly book appointments for you. For example, you may have different "appointment types" for the various services you offer, or specific guidelines for which prospective leads may be booked for a "new client consultation." We can ask the right questions to qualify your leads, and then if the prospective customer meets your criteria, we'll book them for the correct "new client" appointment type. Your receptionists will add appointments to your YouCanBook.me calendar according to your directions, and you'll see updates in real time. Appointment bookings will, as always, also be noted in your call summaries.